Files with cl2 suffix seems to have been in the past used in HY-TEK sport software to store results from sport activities. Replaced by HYV format. What is cl2 file? How to open cl2 files? File extension cl2 seems to have been in the past used in some of the sporting applications provided by HY-TEK. It looks like that this cl2 file type was used to store some kind of results. However, it has been replaced by the .hyv files in later versions. 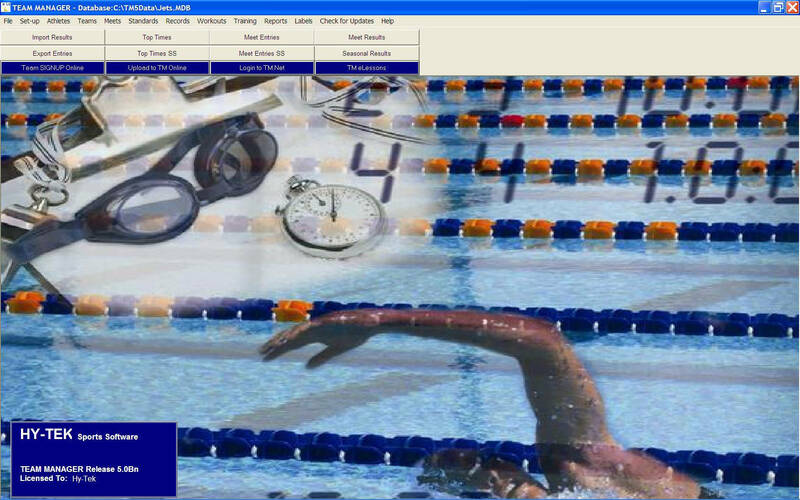 TEAM MANAGER provides coaches, parents and administrators with easy-to-use swim club software. The system is designed to completely automate the administration and performance tracking for teams at all levels of competition. Most likely can only be accessed in some older HY-TEK software. Unfortunately, we do not know about any conversion for .cl2 files. But considering this file type is text based, it may be possible to convert it as such. and possible program actions that can be done with the file: like open cl2 file, edit cl2 file, convert cl2 file, view cl2 file, play cl2 file etc. (if exist software for corresponding action in File-Extensions.org's database). Click on the software link for more information about TEAM MANAGER. TEAM MANAGER uses cl2 file type for its internal purposes and/or also by different way than common edit or open file actions (eg. to install/execute/support an application itself, to store application or user data, configure program etc. ).